Developing the rubber sector while meeting environment and social objectives involves both challenges and opportunities. Lying in the shadow of oil palm in terms of sustainable development issues, the sector needs a combination of measures to progress toward sustainable development. There is now a wealth of knowledge and evidence to make this happen. 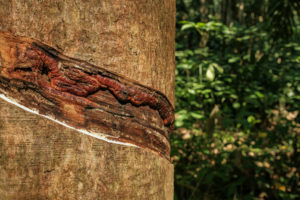 “Evolution to Revolution: New Paths for the Rubber Economy” was the theme of the World Rubber Summit held in Singapore on March 18-19, 2019, organized by the International Rubber Study Group (IRSG). The CGIAR Research Program on Forests, Trees and Agroforestry (FTA) participated in the summit and I presented during a session titled Managing sustainability performances in the rubber value chain. Plantations of all major tropical commodities – especially oil palm, timber, pulp, cocoa and rubber – are expanding quickly, creating opportunities for development while also raising concerns about impacts on the environment, landscapes and livelihoods. 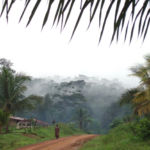 FTA has identified plantations as a research priority. Rubber is a particularly interesting example; plantations are continually expanding with a very concentrated sector downstream (the majority being a small number of tire producers), and a production sector heavily dominated by smallholders. The sector is confronted with a range of issues when it comes to its impact on and contribution to sustainable development. Land-use change: Rubber is the most rapidly expanding tree crop within mainland Southeast Asia. Additional land will be required to meet future rubber demand, which could be in forested areas or on mosaic landscapes, swidden agriculture and agroforest, though there is also potential to reduce land-use change and deforestation through more intensive systems – both in terms of rubber and other associated production depending on situations. Biodiversity: In many areas rubber expansion has been on former natural forest, including sometimes in protected areas. The effects of converting primary and secondary forests to rubber monoculture are well understood – it decreases species richness and changes species composition. However, the biodiversity value of swidden agriculture and of mosaic landscapes is less well known and the effects of their conversion to rubber plantations has been assessed in less detail. 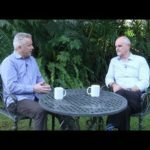 Climate change mitigation: The potential contribution of rubber to climate change mitigation depends on what it replaces and the way it is conducted. The impact is generally negative when rubber replaces primary or secondary forests, but positive when planted on very degraded land. The impact can be neutral or slightly positive when rubber replaces swidden systems with a short fallow period, but negative when it displaces swidden systems that will then encroach on forest. Water and erosion: Effects again depend on what rubber replaces. For instance, there can be less fog interception relative to complex canopies. Conversion to rubber can increase evapotranspiration relative to native vegetation. Rubber risks depleting deep-soil moisture during the dry season with effects on groundwater and streamflow. In mountainous areas of mainland Southeast Asia, plantations on steep slopes have negative impacts on soil erosion, landslide risk and water quality. There are also indications of impacts from rubber plantation runoff on water quality and aquatic biodiversity. Social issues: Production is still dominated by smallholders in most countries, especially in “traditional” production areas. The establishment of rubber replacing swidden agriculture has substantially increased smallholder income in Southwest China and Northern Thailand. 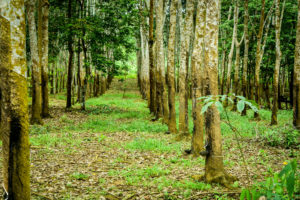 In non-traditional areas, such as Laos, Cambodia, Myanmar and some African countries, the expansion of rubber often takes the form of larger-scale plantations – which could disadvantage rural communities, with some reports of evictions and of poor labor conditions in large-scale plantations. Resilience to price fluctuations: Rubber prices can be volatile, which is a concern for long-term investment and has consequences for the sustainability of economic and production models. 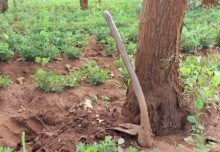 Smallholders who are purely engaged in rubber are very exposed, especially if they are not supported by public policies. Smallholders with diversified systems are the most resilient. Paradoxically, large estates may be more exposed due to monoculture and having to pay a workforce. Climate change adaptation: Until recently it was difficult to predict the incidence of climate change on violent precipitation and winds, to which plantations are vulnerable. There is also a need for more research on the impacts of climate change on the distribution of pests and diseases. Diversified systems are more resilient to shocks of any kind, including from climate change, and can contribute to adaptation at a landscape level. Given these challenges, the potential impacts of rubber expansion and the contribution to the Sustainable Development Goals and the Paris Agreement ultimately depend on three factors. First is where expansion occurs, and the land use or land cover that rubber replaces. Second, it involves production systems, yield and overall efficiency, including the use of rubber wood, as well as impacts on water and biodiversity. The third factor is benefits for smallholders and local populations, contributing to economic and social resilience. A range of objectives could pave the way forward for sustainable development. To meet these objectives, it would be necessary to see a combination of measures. The rubber sector needs measures connecting downstream with upstream, involving various stakeholders, building on science and knowledge and promoting transfer in a practical way. The newly launched Global Platform for Sustainable Natural Rubber (GPSNR) will hopefully address this. Knowledge and evidence could enable the transition in a proactive way, contributing to sustainable development outcomes. FTA stands ready to work with the GPSNR and to help support the sector move toward sustainable development, “from evolution to revolution”. 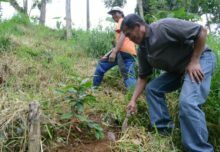 The CGIAR Research Program on Forests, Trees and Agroforestry (FTA) is supported by contributors to the CGIAR Trust Fund.